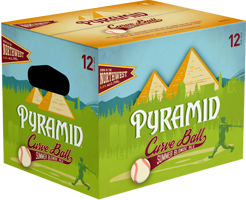 Curve Ball | Pyramid Brewing Co. This is one Curve Ball that you won’t mind being thrown your way this summer. This Blonde Ale is brewed to be bright, crisp and golden with the grandstand atmosphere in mind. 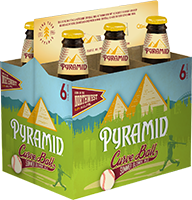 Supremely satisfying and deeply quenching, Curve Ball is a grand slam of a beer best enjoyed when you’re cheering on your team along with thousands of your closest friends.